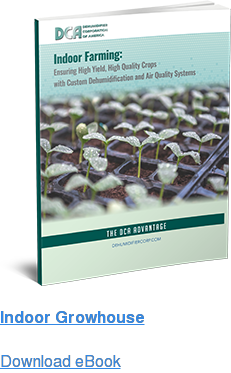 Industrial dehumidifiers control relative humidity and dew point in many industrial applications, from waste and fresh water treatment plants, archive storage facilities, indoor grow rooms, and many more where the control of moisture is crucial. 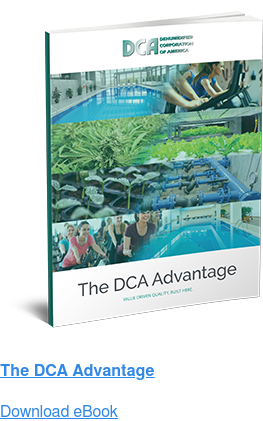 DCA industrial dehumidifiers outperform air conditioning systems by properly removing air moisture to meet scrupulous specifications and location standards. Another disadvantage of most A/C systems is the raised percent relative humidity brought on by the lowered room temperature to uncomfortable levels, all the while wasting energy. This can make an A/C counterproductive for industrial dehumidification. Printing: Industrial dehumidifiers control moisture content of paper or corrugated cardboard to ensure proper registry. They remove moisture in a space as the seasons and weather change, which ensures product quality and proper equipment performance. Grinding and machining: In facilities where water-based coolant is sprayed on tooling during machining operations, a building can quickly become saturated. Industrial dehumidifiers keep moisture from condensing on cold surfaces such as floors, wall, electric motors, electrical panels, product and floors. Food packaging and processing: Controlling dew point and air moisture in hygroscopic (moisture-absorbent) product storage or processing facilities is essential. Industrial dehumidifiers manage these variables to prevent coagulation from high dew points during the packaging process. 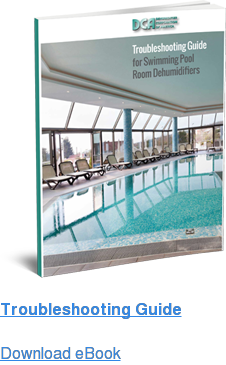 It is clear that dehumidifiers are crucial to the success of numerous industrial applications. To ensure every dehumidifier satisfies your needs, DCA factory-tests all of its products for capacity and efficiency. Dehumidifier Corporation of America offers air-cooled systems, as well as water-cooled versions using sources that include geothermal energy, cooling towers, chillers, processed water and city water. Contact DCA to learn more about our industrial dehumidification systems. Learn more about dehumidifying manufacturing processes and the challenges that come with maintaining an ideal workspace humidity.